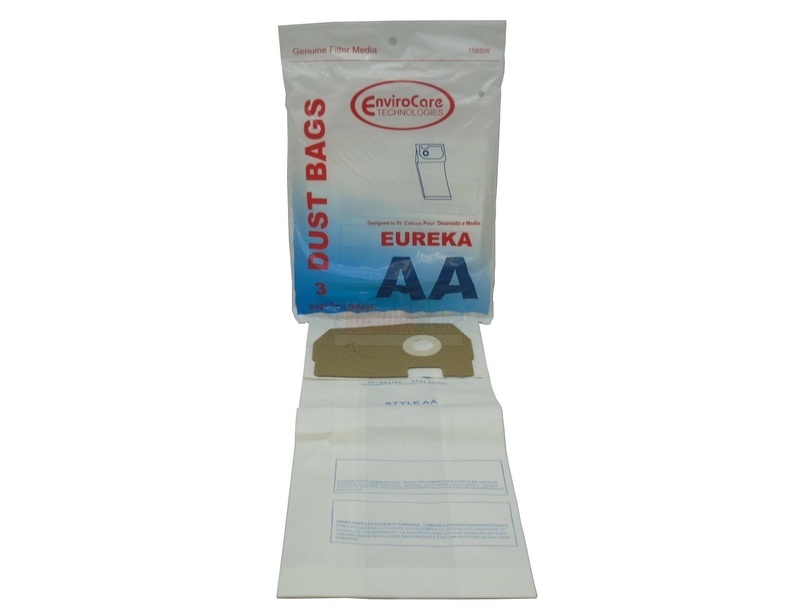 This package includes three generic AA style Eureka dustbags. They are compatible with the Sanitaire SC4570 and Eureka Victory, Powerline, and Worldvac 4300 and 4400 series upright vacuum cleaners. Specific models numbers include 4100, 4300, 4350, 4351, 4400, 4500 and 5180, 5181, 5182, 5183, 5184, 5185, 5186, 5187, 5188, 5189, 4321, 4325, 4326, 4327, 4334, 4335, 4337, 4340, 4341, 4350, 4351, 4352, 4372, 4377, 4380, 4381, 4383, 4384, 4386AT-1, 4387, 4388AT,4440, 4441, 4455, 4460, 4461, 4464, 4465, 4466, 4469, 4470, 4471, 4472, 4475, 4476, 4478, 4479, 4480, 4481, 4482, 4483, 4484, 4485,4489AT, 4470, 4471, 4475, 4476, and 4478. For more information about these or any of the other Eureka vacuum cleaner bags we carry, please call (866) 972-8227. Product was cheap, arrived here super quick and worked great!